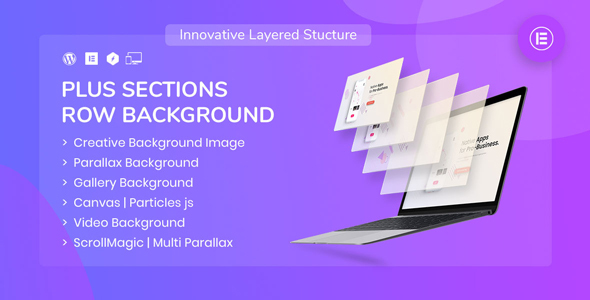 Ultimate Row Background addon for elementor with tons of features, which includes, Parallax, Video, Particles, ScrollMagic, Image Background, Multi Parallax and So on. It’s must for all creative elementor websites. It have tons of modern functionalities and lots of versatile options. Addon is divided in to three layers, which will be used to make millions of different layouts. DEEP LAYER : This is foundation layer of row with all classic and modern options. MIDDLE LAYER : This is the middle layer of our row section with lots of creative and unique options. TOP LAYER : This is the Top Most Layer of your row background, Which helps to look your content better. 100% Fully Responsive :Ultimate Row Background is completely responsive for all devices. Itís pixel perfect designed so give 100% performance to all your visitors from any devices.